Drive fire trucks and other emergency vehicles. Put out fires using water hoses, fire extinguishers, and water pumps. 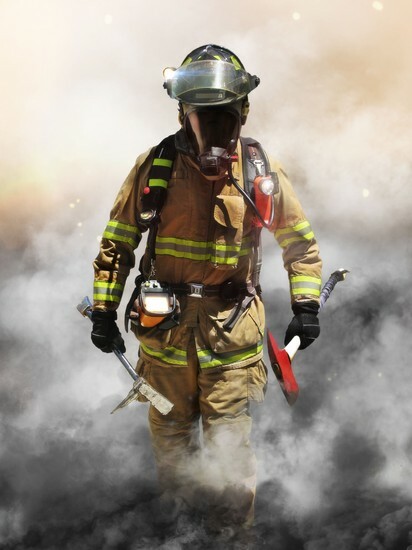 Find and rescue victims in burning buildings or in other emergency situations. Firefighters must be able to communicate conditions at an emergency scene to other firefighters and to emergency-response crews. Firefighters must be able to make quick and smart decisions in an emergency. Firefighters may have to stay at disaster scenes for long periods of time to rescue and treat victims. The entry-level education needed to become a firefighter is a high school diploma or equivalent. However, some class work beyond high school, such as airway management and trauma care, is usually needed to obtain the emergency medical technician (EMT) basic certification. The median annual wage for firefighters was $46,870 in May 2015. Jobs as a firefighter are projected to gain 5% from 2014 to 2024.